Sarah Cornelia Tappen was born in 1744, the only daughter of Tjaatje (Charity) Wynkoop and Petrus Tappen of Kingston, New York. Her father was a substantial landholder whose family had settled in New Netherland in the seventeenth century. George Clinton was born July 26, 1739 in Ulster County, New York. His parents were Presbyterian immigrants who left Longford County, Ireland, in 1729 to escape an intolerant Anglican regime that imposed severe disabilities on religious dissenters. 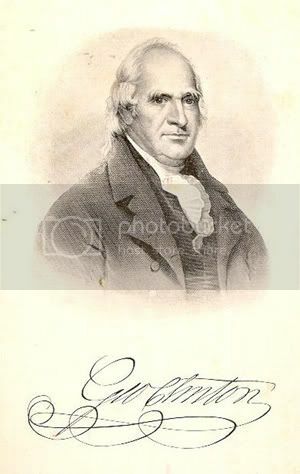 George Clinton studied law and was elected to the New York Assembly in 1768, where he supported the Livingston faction – the Livingstons and their allies represented the wealthy, predominantly Presbyterian landowners of the Hudson Valley. Cornelia was related to the Livingstons by marriage. Her brother, Dr. Peter Tappen, was married to Elizabeth Crannell, the sister of Gilbert Livingston’s wife, Catharine Crannell. 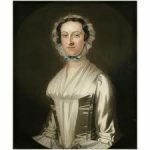 On February 7, 1770, Cornelia Tappen married George Clinton, then a young lawyer, part-time surveyor, and member of the New York General Assembly with a reputation as a defender of freedom of speech and the press. After their wedding, the Clintons moved to their new home at New Windsor. Their farm was located on a hillside that commanded a superb view of the rugged Hudson highlands. Their first two children were born there: Catherine on November 5, 1770, and Cornelia on June 29, 1774. Times were prosperous for the young Clintons. Cornelia maintained her home and took care of her family. George tried farming and milling, pursued his law practice, and spent several months a year representing Ulster County in the New York General Assembly. As relations between England and her North American colonies deteriorated during the early 1770s, the Livingstons, the Tappens, and the Clintons were ardent opponents of the Crown and Parliament, and were to become Patriots in the American Revolution. In 1770, Clinton defended a member of the Sons of Liberty imprisoned for “seditious libel” by the royalist majority that still controlled the New York Assembly. He was a delegate to the Second Continental Congress in 1775, and voted for the Declaration of Independence, but had to leave before the signing occurred. By 1775, George was devoting most of his time to public service. He resigned his seat to accept an appointment as a brigadier general in the New York militia. 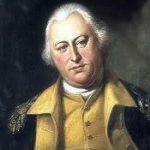 He was assigned to protect the New York frontier, where his efforts to prevent the British from gaining control of the Hudson River and splitting New England from the rest of the struggling confederacy earned him a brigadier general’s commission in the Continental Army and made him a hero among the farmers of the western counties. Cornelia Tappen Clinton rarely, if ever, traveled beyond the boundaries of New York State, preferring the roles of wife, mother, and homemaker expected of women of her time. As the state’s First Lady, she entertained people as prominent as George Washington and Marquis de Lafayette. A traditional well-to-do matron, she excelled in the domestic sphere, shunning the public life her position offered. 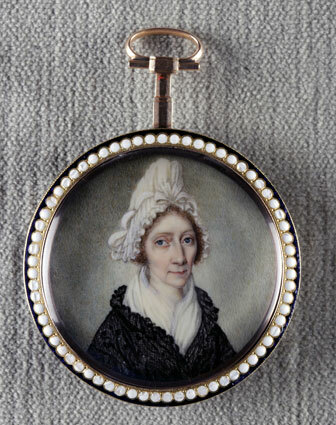 During the Revolutionary War, Cornelia and her family remained in close touch with the general. His headquarters was located within several miles of the Clinton home at New Windsor. When conditions permitted, Cornelia went with her husband on inspection tours of nearby military installations. In September 1776, the British burned New York City, destroying 1000 homes. The refugees fled north to patriot-held Hudson River counties, and moved in with relatives and friends, straining already tight provisions and housing. A supporter and friend of George Washington, George Clinton supplied food to the troops at Valley Forge, and rode with Washington to the first Inauguration and gave an impressive dinner to celebrate the occasion. However, this friendship did not influence Clinton’s politics; he did not support the adoption of the Constitution until the Bill of Rights was added. The social and political changes that the Revolution precipitated worked to Clinton’s advantage, and he made the most of his opportunities. The state’s new constitution greatly expanded the right to vote and increased the size of the state legislature. The yeoman farmers of small to middling means, who had previously deferred to the Livingstons, emerged as a powerful political entity in their own right, and George Clinton became their champion and spokesman. Their support proved crucial in the 1777 gubernatorial election, when Clinton defeated Edward Livingston in a stunning upset. Less than eight years after their wedding, George Clinton became New York’s first elected governor, and Cornelia its first First Lady of New York. The election signaled Clinton’s emergence as a dominant figure in New York politics; he served as governor from 1777 until 1795 and again from 1801 until 1804, and was called the Father of New York State. Clinton was known for his hatred of the Tories and was partially able to keep taxes down through the seizure and sale of Tory estates. Before leaving the battlefield to assume his new responsibilities, Clinton had promised his commander in chief, General George Washington, that he would resume his military duties if his other responsibilities allowed it. True to his word, Clinton soon returned to the field to help defend the New York frontier. American troops under his command prevented Sir Henry Clinton (said to have been a distant cousin) from relieving the main British force under General John Burgoyne, precipitating Burgoyne’s surrender at Saratoga on October 17, 1777. 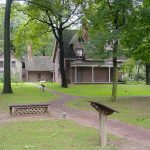 In September of 1777, John Jay and other leading patriots had met in a stone house in Kingston to declare the colony a sovereign state and establish the first New York State Senate. In a nearby building, the first State Assembly met, and Kingston became New York State’s first capital. In 1777, the British forces had reason to see the village of Kingston as a hotbed of disloyalty to King George III and His Parliament. The farmers nearby had provided Washington’s troops with wheat and other food supplies. In October, British forces came up the Hudson on the way to meet Burgoyne coming down from Canada. It was an opportunity to punish Kingston. Cornelia Clinton grieved for her neighbors when the British set fire to Kingston in October, 1777, demolishing every house. For days, unburied bodies lay in the streets. Survivors drove their remaining livestock to the interior and tried to gather the harvest before raiding parties could carry it off. With two children and sixty head of sheep and cattle, Cornelia managed to save vital crops of buckwheat, potatoes, turnips, and cabbage. During this period, Cornelia became friends with Martha Washington, while Generals Washington and Clinton devised plans for the expected British invasion. The Clintons developed a fond relationship with the Washingtons, and named their only son George Washington Clinton, and one of their daughters Martha Washington Clinton. After the war, Cornelia and George moved to New York City in 1784. Many of the Revolution’s most important figures lived within a few blocks of their East Ward neighborhood. From 1791 to 1794, the Clintons lived at Government House, which had been built for the president when New York was the nation’s capital. Late in the fall of 1799, Sarah Cornelia Tappen Clinton became very sick. After a long illness, she died on March 15, 1800, at the age of 56. George became the nation’s fourth Vice-President during the terms of Presidents Thomas Jefferson and James Madison (1804-1812). George took office on March 4, 1805, the second vice president to serve under Thomas Jefferson, having replaced fellow New Yorker Aaron Burr. But when Clinton assumed the presiding officer’s chair on December 16, 1805, two weeks into the first session of the Ninth Congress, he was so “weak and feeble” of voice that the senators could not “hear the one half of what he says.” But, for all Clinton’s apparent frailty, he was still a force to be reckoned with, despite his chronic rheumatism. George Clinton died in Washington, DC, on April 20, 1812, and was buried there; in 1908 he was reinterred at the Old Dutch Churchyard in Kingston, New York.